Don’t miss Third Thursday on Sept. 20! 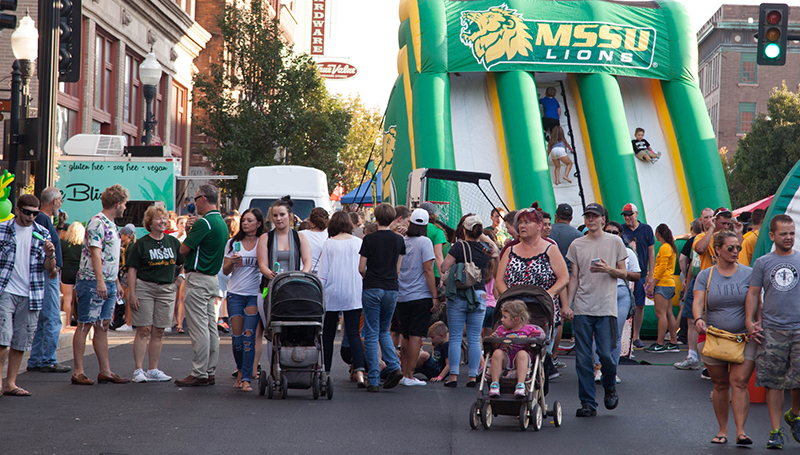 Downtown Joplin will get a green and gold makeover when Missouri Southern hosts Third Thursday from 5:30 to 8:30 p.m. Thursday, Sept. 20. Presented by the Downtown Joplin Alliance, the event features food trucks, street vendors, entertainment, art and music between the First and Seventh streets on Main Street. This year, Missouri Southern’s presence will shift a few blocks north, from Third to Fifth streets. This year’s offerings will include free ice cream from Alumni, a community art project, a chemistry demonstration, a human foosball game, a selfie station and much more!